Dorothy Burk Roth (b. February 21, 1927) passed away at the age of 91 on February 12, 2019. 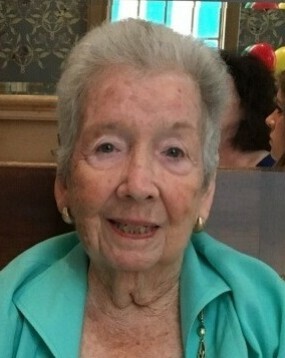 Mrs. Roth was a lifetime resident of New Orleans where she attended Newman School and Newcomb College. She is preceded in death by her parents, Victor and Lena Miller Burk, her husband Stanley Roth Sr., and her older son, Stanley Roth Jr. She is survived by her son, Steven David Roth and many loving friends. Funeral Service will be held on Friday, February 15, 2019 at 10:30 am at Hebrew Rest Cemetery #3. Arrangements by Tharp-Sontheimer-Tharp, 1600 N. Causeway. Condolences may be expressed online at www.tharpsontheimerfh.com. Information 504-835-2341.